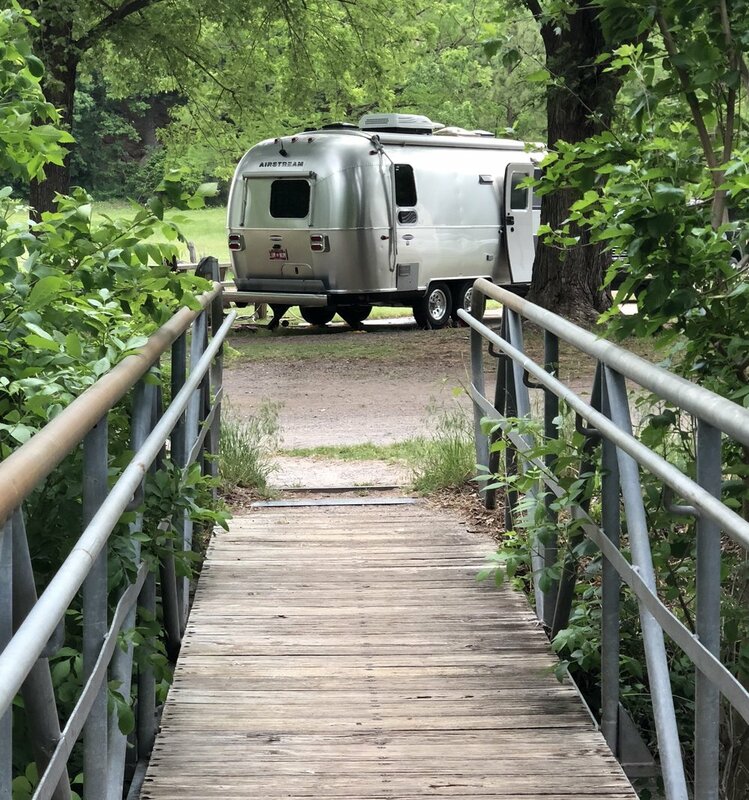 ONE OF THE THINGS ABOUT TRAVELING IN AN AIRSTREAM—people want to ask you about traveling in an Airstream. For people like My Amazing-Missus this is all fine and dandy. She genuinely enjoys visiting with others and they with her. Me too; on a case-by-case basis. 1.) Are they still making these? 3.) How much does something like this cost (if you don’t mind me asking)? He looked familiar. Turns out we were acquaintances years ago. I had heard that his lovely wife had been diagnosed with dementia and is now in a nursing home. He told me that years ago the two of them had dreamed of having an Airstream and seeing the country. That’s why he had stopped to take a look at ours—just to reminisce a bit. Is this a sign, I wondered. Is he a prophet of some kind? For now we’re day trippers; long weekend trippers at best. But we’re moving, we’re going, so we can stop. and look around. Remember that guy, the one from the Beatle’s song, the one they called the “nowhere man”? Funny thing. I used to see him as a sad, aimless, clueless, hopeless shell of a person. But now I feel like I sort of get him. Maybe he is a bit like you and me. Oh yeah, my joke. An old guy and his Amazing-Missus walk in to an Airstream dealer. Walt (the rv sales guy): How can I be of assistance to you folks today? Me: We’re thinking of buying an Airstream. Walt: Great plan! How long do you want it? Me: A long time. We’re planning on traveling across the country and back again.